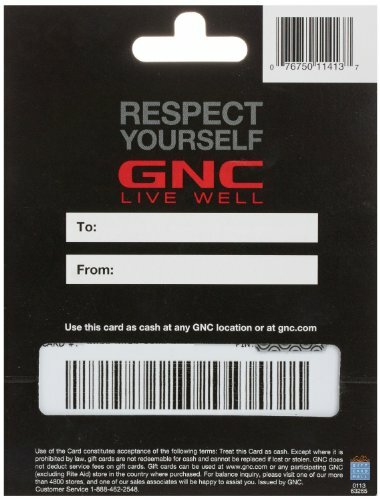 If you are looking for a giftcard that caters to the fitness fanatic or nutrition guru a GNC giftcard could be the perfect gift. GNC is the largest global retailer of its kind; GNC sets the bar in the nutritional supplement industry by demanding truth in labeling, product potency and ingredient safety, all while remaining on the cutting edge of nutritional science. GNC gift cards can be redeemed at the more than five thousand stores in the U.S., Canada, and online. Gift Cards may be used for online purchases or for shopping at GNC retail stores. 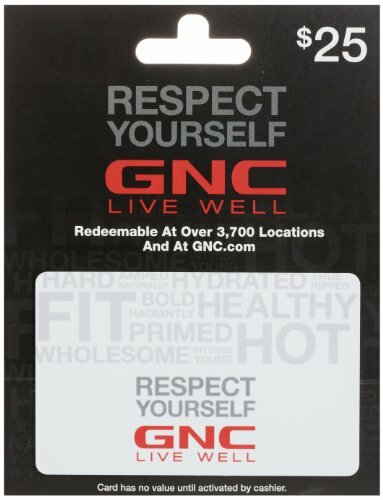 GNC gift cards can be redeemed at the more than 5,000 stores in the U.S., in Canada, and online.